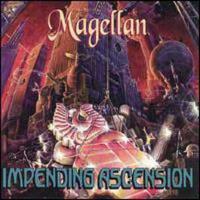 Fans of classic prog rejoice, Magellan has foretold the Impending Ascension. This disc is one of the finest the band have ever produced, combining elements of old school prog bands like ELP, Kansas, Genesis and Yes with a new world sensibility. Those who like their progressive rock extended will be happy to know that 3 of the songs on show here are in the 11-minute range. Also, for the fans of rapid-fire changes, Magellan prove once again that they are among the best at this, never seeming willing to stay in any one place for long. This is truly one of the better discs among the Magna Carta catalog, and a fine addition to any prog devotee's collection. Loaded with pomp and ceremony, the intro here comes across as a theatric prog take on regal themes. That segment ends and acapella vocals take over. Then a burst of music that leads to a crescendo is followed by a short mellower keyboard dominated segment. This gives way to a harder edged ELP flavored section. The composition then drops to a more sparse arrangement for the beginning of the verse. All of these changes take place in the first couple minutes of the piece! After one line of vocals a burst of energy serves as the backing for the next one. The cut begins a frantic series of reworkings from there, moving through a seemingly endless series of prog changes that can be daunting for a reviewer to keep up with. At a little over 5-minutes in it drops to an almost funky keyboard dominated section and eventually begins to move back up from there. Some musical textures revealed here are downright awesome, but the band show that they will not stay in one place. The later segments of the cut are based in a killer triumphant mode, but the true outro is basically just keys. Fairly sedate, but poignant, keys start this. The track starts evolving from there, gradually adding elements, but still working the same musical patterns. It eventually explodes forth, but still within those same compositional themes. After running through that way for a time, it shifts into a new keyboard dominated section and begins working through that. After playing on that, near silence ensues. 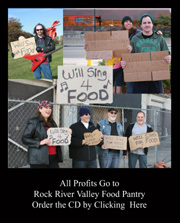 Then an all-new, fast paced, triumphantly flavored prog movement enters the fray. The cut then moves to a new verse followed by a jam that takes the cut into another new prog section, this one rather melodic. This leads into a new building phase. It then drops back to effects and a droning percussive section starts the new evolution of the piece. Melody begins to emerge over top of this, and the cut eventually shifts into Genesisish territory. Gaining energy and intensity as a keyboard solo wails; this heralds in a new instrumental direction. That segment works up, peaks out and is replaced by another verse section. The vocals here, as on much of the disc, sound a bit like Chris Squire. As the verse crescendos, a hard edged and frantic progression screams out. This movement makes up the vast remainder of the cut, keys serving as the true outro. This comes in strong and a bit Kansasish, but also rather in the mode of ELP. The opening segment runs through and the verse enters with a droning keyboard line. The number feels a bit like a more modern harder edged take on The Buggles for a time. Eventually a crunchy guitar line enters, but although rocking out harder, the song still remains basically the same. However, there are some unusual timing shifts and sections of screaming instrumental fury. This is a bit odd (mostly in that timing) at times, but a strong hard-edged prog screamer. It resolves to a triumphant sounding progression for a time, but a crunchy movement serves as the lead to the brief outro. Very cool pretty and dramatic patterns begin this in balladic styles. The cut runs through that for a minute and a half or so before the intensity explodes up while still working within the same song structure. Those Squire-like vocals are definitely present here. It drops back towards more sedate elements with spoken dialog over top. It shifts after a chorus to a new arrangement that has an intriguing, almost staccato rhythmic pattern. This gives way to an instrumental break that is followed by a return to the earlier verse section. It resolves into a hard-edged stomper for a time before Wakemanesque keys end it. This instrumental is well named, as it is very brief. It is essentially a keyboard-dominated excursion that calls to mind ELP and Kansas. It serves as an intro for the next number. The last epic length cut on the CD, this pulls straight out of the fast paced keyboard movements of the last track. As the new melody that creates the chorus of this enters, it is in the form of a fast paced prog romp that is arguably one of the tastiest segments of the album. The composition shifts after a time to a less frantic movement for the verse, but the chorus returns in fine form. As it ends an instrumental interlude that feels rather Olde Worlde in texture takes it for a time. Then a new section rips forth, moving the song along further. As the verse winds through, a fast paced keyboard segment heralds another change to a somewhat slower verse movement. This winds up building in Genesisish style after a time. Then it drops back down and the keys rule the day for a while. A pulsating movement takes the piece for a while, then the melody joins this backdrop to carry the number forward. Another Genesis oriented segment follows, then the faster paced energetic element return with passion. This then gives way to a killer high-energy jam that leads to the next potent verse, then a complete shifting of gears to a segment with an exceptionally tasty bass sound. This winds through leaving just keys with subdued voices. Those elements slowly fade down over a couple minutes to end the piece. This is a very short hard edged tune that almost falls into the category of prog metal at first, but this is really all prog. The hard edged elements return later as a Shakespearean quote is presented in a voice similar to the narration on Rush's Caress of Steel album. It is difficult to comprehend that anyone could pack so much into a song that is less than 2 minutes in length.